<Deft Consulting » Blog Archive » What is new in Appian 18.3? The Appian native mobile application which is available to download from the Apple App store and the Google Android Play Store has been updated to support the new UI features including the features that were made available in the previous versions of the Web UI. For example, you can now use a billboard layout on a mobile device to display a banner like horizontal area. As we are more inclined towards accessing web content via mobile devices, you can make sure that your application users can access full range of UI capabilities without having to leave their mobile devices. 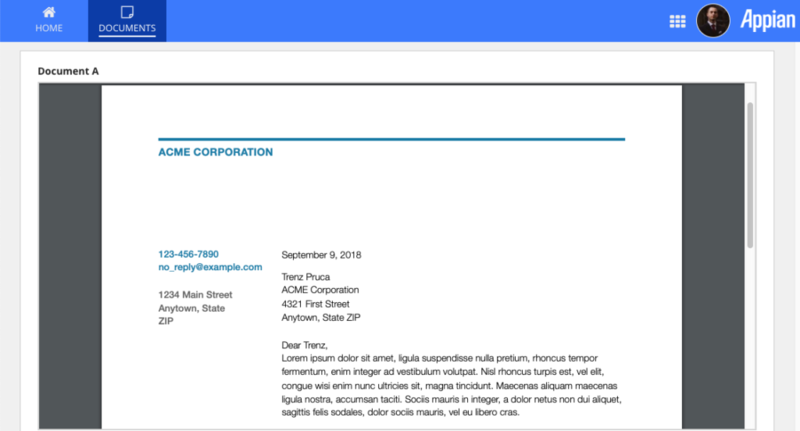 The introduction of the Document Viewer component in 18.3 enables the end users to preview a document in the application itself. So, there’s no need to download a document in order to open it, thus creating a great user experience. If your application users have an older browser, then they won’t be able to use the preview document feature. However, they would still be able to download and view a document. The Document Viewer SAIL component supports various document formats like PDF, TXT, XML, SVG, GIF, etc. 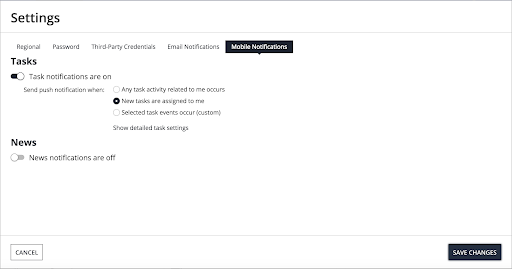 Now, you can directly control the notification settings for tempo and site users and make sure that your users get notified about the events important to them. These notifications have been categorized into email notifications, and mobile notifications and thus allowing them to be configured separately. New capabilities have been added to provide News push notifications on mobile devices. 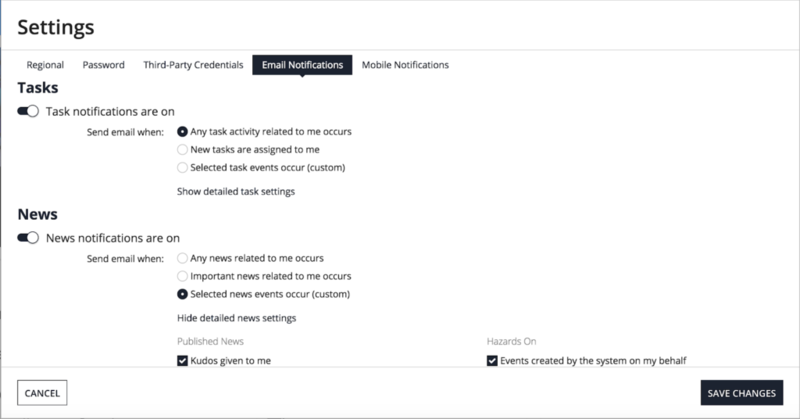 This new feature enables you to create an engaging experience for your end users as they get notified when important events occur in the application. 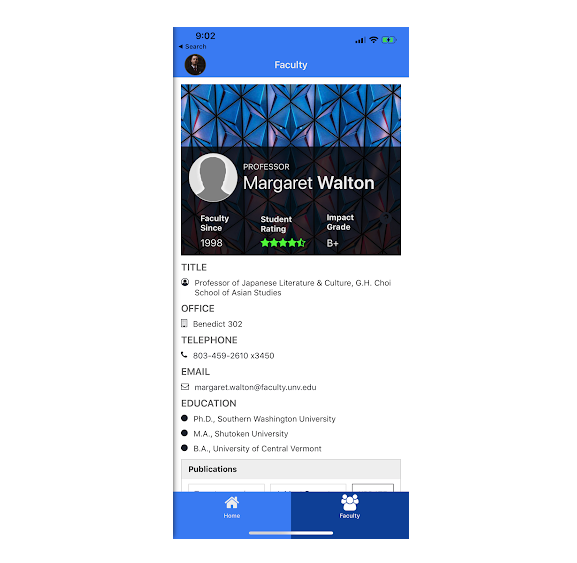 For example, when an applicant submits any application for review, the approvers can get notified that the application is available for review and take action from their mobile devices. You can now style certain components like box layout, card layout etc. with hex color codes. 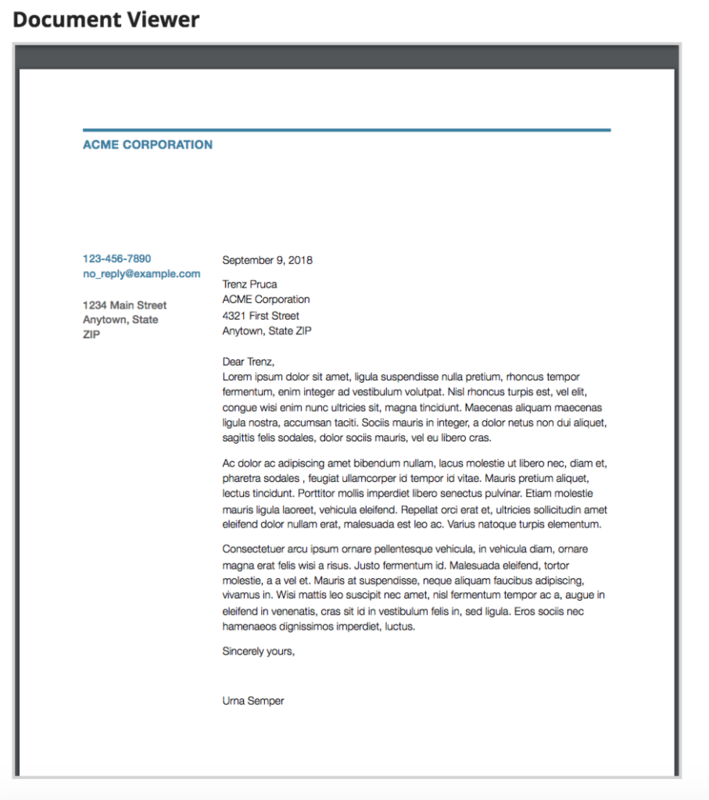 This will make the application look more inline with your branding colors. 18.3 allows you to take full advantage of your ultrawide screen real estate. The site page width can be configured to use the full page width, giving a better viewing experience especially with dense UIs on ultrawide monitor screens. Appian comes with a pre-configured version of Tomcat and it’s free! You don’t have to pay and use server instances like JBoss or WebLogic. All you need is an Appian installer which you can download and run. Now, Appian updates only the parts that have been changed which makes the update process much faster than before. If you are an Appian Cloud customer, Appian allows you to use your own encryption key for securing the disk that is used to store your data.